Come with us on a train ride through history as we visit the Virginian Piedmont during america's most crucial time of need! 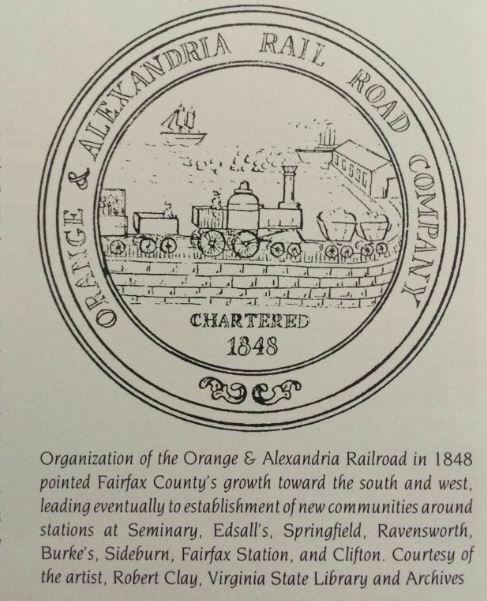 The Orange and Alexandria Railroad (O&A) was chartered by the Virginia General Assembly on May 28, 1848, to run between Alexandria to Gordonsville. Construction began in 1850 and was completed in April 1854,when it connected with the Virginia Central Railroad in Orange County. Also in 1854, the O&A was granted permission by the Virginia General Assembly to build southward fromCharlottesville to Lynchburg (O&A had to pay to use what are now known as trackage rights over the Virginia Central Railroad for a section from Gordonsville to Charlottesville). In 1860 the southern extension between Charlottesville and Lynchburg was completed with connections to the Virginia and Tennessee Railroad and theSouth Side Railroad. The O&A greatly benefited from the connection with these two railroads, as well as connecting with the Manassas Gap Railroad to the Shenandoah Valley at Tudor Hall (today named Manassas after this junction). The end result was great for commerce in Virginia. Farmers could ship their products, produce and goods much more cheaply than before and could go any direction via the connecting railroad. Alexandria became a thriving seaport and manufacturing center. In addition to freight, passengers could go from Washington to Lynchburg in eight hours instead of the three-day travel by stagecoach before the railroad’s completion. The O&A made Alexandria its headquarters including a yard and shop area. Construction of the railroad started southward in 1850 at a point along the Potomac River waterfront. Tudor Hall, later renamed Manassas Junction (located in the area of today's Fairview Avenue road crossing east of the Manassas Amtrak passenger station), was reached in October 1851. The rails reached Gordonsville in 1854 where a link with the Virginia Central RR (later to become the Chesapeake & Ohio RR) provided a through route to Richmond and Charlottesville. Using trackage rights on the Virginia Central to reach from Gordonsville to Charlottesville, the O&A built southward from Charlottesville to reach Lynchburg by 1860.The O&A RR was the first railroad constructed on the south side of the Potomac River near Washington, DC. At that time a wagon road bridge across the Potomac existed at the site of today's Long Bridge, but was not able to carry the weight of rail traffic. All freight and passenger traffic across the river had to be carried by horse drawn wagon to reach the B&O in Washington. In 1854 an affiliate of the O&A RR called the Alexandria & Washington RR (A&W RR) was chartered which completed a line in 1858 from Alexandria the six miles to the foot of the bridge. To meet the need to ship supplies south during the Civil War, a new bridge was constructed in 1863 capable of carrying rail traffic. During the war the A&W RR was taken over by the US Government and the line was extended over the new bridge to a connection with the B&O RR in Washington. The US Military Railroad operated the A&W along with its connections, the Alexandria, Loudon & Hampshire, and the north end of the O&A RR as part of the Military Railroad of Northern Virginia. After the war the A&W RR, along with its extension to the B&O RR in Washington, was operated by the Washington, Alexandria and Georgetown RR. In 1866, after the end of the Civil War, the B&O began to buy control of the O&A RR. 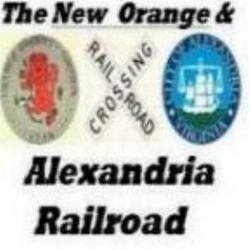 Then, in 1870 under the control of the B&O RR, the Manassas Gap RR was merged into the O&A RR and the combined line was named the Orange, Alexandria & Manassas RR. Meanwhile the B&O suffered a serious setback in 1870 when the Baltimore & Potomac RR (B&P RR), a subsidiary of the PRR, built a line from Baltimore to Pope's Creek with a branch line from Bowie via Benning, Md to Washington and the Long Bridge. Then, through legal tactics, the B&P RR gained control of the Long Bridge. In the process the PRR severed the B&O's connection to the O&A and the south as the PRR also gained control of the line on the Virginia side of the river from the bridge to Alexandria in 1872. The B&O's response was to build a new branch line from their main line at Hyattsville, Md. to a point on the Potomac River across from Alexandria, Va. A car float operation was established to ferry freight cars across the river to connect with the tracks of the Orange, Alexandria & Manassas RR. This arrangement would remain in place until the turn of the century when the Potomac Yards were constructed. In 1872 the OA&M RR was merged with the Lynchburg & Danville RR to form the Virginia & North Carolina RR which was renamed the following year as the Washington City, Virginia Midland & Great Southern RR which entered receivership in 1876. Also in 1876, the Charlottesville & Rapidan RR was incorporated to construct a direct line between Orange and Charlottesville. This line was eventually merged into the Southern railway and today serves as Norfolk Southern's mainline between the two cities. The original line between Orange and Gordonsville was leased to the Chesapeake & Ohio RR. In 1881 the WC,VM&GS RR was reorganized by the B&O RR and the name was shortened to Virginia Midland RR (VM RR). The VM RR was leased to the Richmond & Danville RR in 1886. The R&D RR along with the VM RR became part of the Southern railway in 1894. Today, the original northern end of the line from the Potomac River front south through Alexandria, including the former shops area, has been removed and the area is being redeveloped for commercial and residential purposes. The north end of the line is now at an interlocking with CSX named AF TOWER, just south of the Alexandria passenger station. The O&A was strategically important during the Civil War (1861–1865) and was arguably the most fought over railroad in Virginia. In connection with the Virginia Central, it was the only rail link that existed between the capitals at Washington, D.C., and Richmond. The importance of the link drew Union Army troops to the 1861 First Battle of Bull Run in an attempt to gain control of Manassas Junction. This important junction traded hands numerous time during the war. Confederate Maj. Gen. Thomas J. "Stonewall" Jackson took advantage of its importance by attacking it in the Battle of Manassas Station Operations to draw the Union into the 1862 Second Battle of Bull Run. 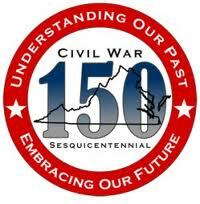 The 1863 Battle of Brandy Station and Second Battle of Rappahannock Station were also fought near the railroad line. Following the war, the railroad found it was in dire shape. Much of the O&A track had been ripped up and most of the rolling stock destroyed. During Reconstruction, in 1867, the O&A merged with the Manassas Gap Railroad to become the Orange, Alexandria and Manassas Railroad. Then in 1873, the company was consolidated into the Virginia Midland Railway, which was controlled by the Baltimore and Ohio Railroad. It later became part of the Richmond and Danville Railroad and, in 1894 became an important piece of the Southern Railway. A cutoff between Orange and Charlottesville was incorporated in 1876 as the Charlottesville and Rapidan Railroad and opened in 1880; the property was sold to the Southern in 1914. 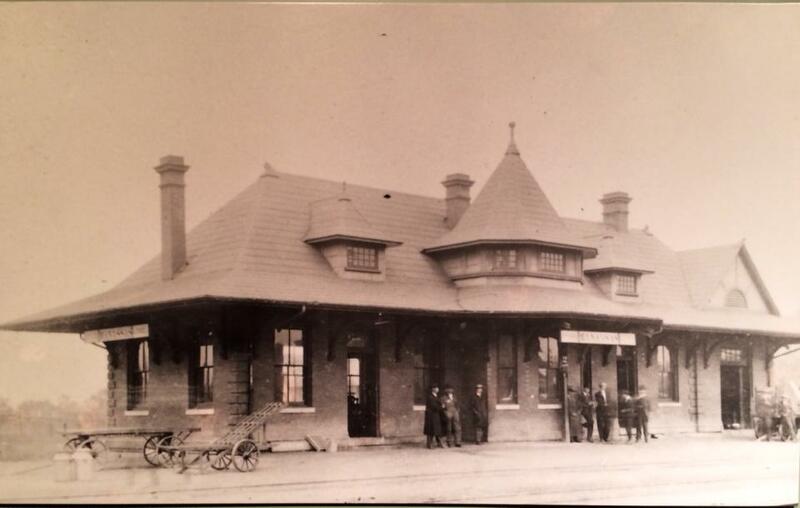 The station was not built until after the turn of the century. This is Tudor Hall in which the original railroad stop was named. It was located in the vicinity of Tudor Lane in Manassas, which is now Osbourn Senior High School.